Soy, one of America’s favorite "health" foods, is not as benevolent as it is made out to be. 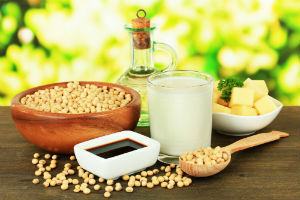 One of the most successful maneuvers by the food and agricultural businesses in North America was marketing soy as a natural, health-promoting food. 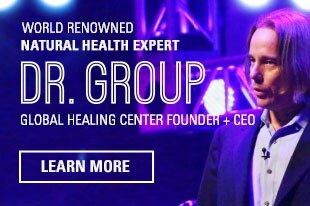 Even today, soy continues to retain a popular following among many individuals in the natural health community. The stark reality, however, is that soy is more of a poison than a nutritious food, with fermented soy being the exception. As it turns out, nearly everything we've been told about soy is untrue, including that it's a staple of Asian diets. Today’s soy has never been a staple in any diet except the diet that has been developed by modern agribusiness. As a common ingredient in many foods today, unfermented and non-organic soy is a disaster waiting to happen. How did soy become the darling of health foods? In North America, soy was a major product of the industrial revolution. Soy oil was used to provide lubrication to machinery; soy was a base ingredient for paint. After petroleum became the primary source of oil in the early 20th century, agribusiness farmers faced a major problem. 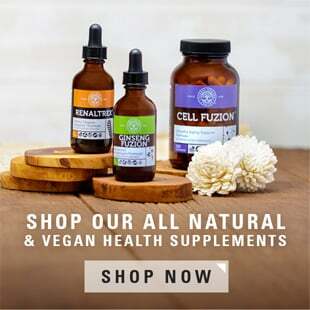 In order to use the abundance of soy they had been growing for decades, they set about creating a massive public relations effort to convince the public, governmental agencies, nutritionists, and even scientists — that soy is not only food, but also a health food! Let's take a look at some of the health myths surrounding this popular, albeit potentially damaging, food. 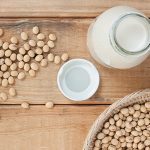 The myth surrounding soy and bone health is derived from correlation studies showing that Asians have a low incidence of osteoporosis. Soy intake is assumed to be the reason behind the correlation, but when we delve a bit further into the facts we see that soy actually comprises a low percentage of the Asian diet. When soy is consumed in Asia, it is mostly in its fermented or minimally processed form. Asians tend to drink more green tea, consume more fermented and calcium-rich vegetables, and may even have a shorter hip axis length than Caucasians. All of these factors are far more likely to contribute to Asia’s lower osteoporosis rates than the pseudo-miracle food that is soy. 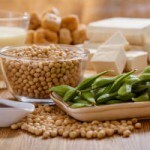 There is some truth to the claim that soy is good for the environment since farmers have long used soybeans to balance nitrogen levels in the soil. Unfortunately, nearly all of the soy grown today is genetically modified. Personally, I do not believe that playing with nature can be beneficial for the environment. Superweeds, anybody? Goitrogens are substances that interfere with the thyroid's ability to utilize iodine, and soy is a prime source for these compounds. 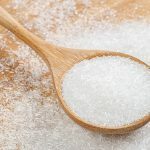 A reduced uptake of iodine results in thyroid impairment and that can affect your metabolism, mood, and energy levels. Soy also contains phytoestrogens, which mimic estrogen in the body and can disrupt your endocrine system and affect your hormones. The only time that phytoestrogens may be considered beneficial is during menopause. The best way to avoid soy, even organic soy, is to make sure your diet is as whole and raw as possible. Avoid processed foods, as these are a main source of soy. If dining out at a restaurant, ask if any of the food is made with soy. Why is Fermented Soy the Exception? What are your thoughts on soy? Do you consume soy, including fermented soy? Leave a comment and let us know! E. M. C. Lau. The Epidemiology of Hip Fracture in Asia: An Update. Osteoporosis Int (1996) Suppl. 3:S19-S23. Yuan S, Chang SK, Liu Z, Xu B. 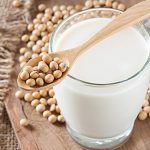 Elimination of trypsin inhibitor activity and beany flavor in soy milk by consectuive blanching and ultrahigh-temperature (UHT) processing. J Agric Food Chem. 2008 Sep 10;56(17):7957-63. doi: 10.1021/jf801039h. Laura A Woollett. Maternal cholesterol in fetal development: transport of cholesterol from the maternal to the fetal circulation. Am J Clin Nutr. December 2005, vol. 82 no. 6, 1155-1161. Tuohy PG. Soy infant formula and phytoestrogens. J Paediatr Child Health. 2003 Aug;39(6):401-5. British Dietetic Association. Paediatric group position statement on the use of soya protein for infants. J Fam Health Care. 2003;13(4):93. M Egounlety. Effect of soaking, dehulling, cooking and fermentation with Rhizopus oligosporus on the oligosaccharides, trypsin inhibitor, phytic acid and tannins of soybean (Glycine max Merr. ), cowpea (Vigna unguiculata L. Walp) and groundbean (Macrotyloma geocarpa Harms). Journal of Food Engineering.Volume 56, Issues 2-3, February 2003, Pages 249-254. Fujita Y, Iki M, Tamaki J, Kouda K, Yura A, Kadowaki E, Sato Y, Moon JS, Tomioka K, Okamoto N, Kurumatani N. Association between vitamin K intake from fermented soybeans, natto, and bone mineral density in elderly Japanese men: the Fujiwara-kyo Osteoporosis Risk in Men (FORMEN) study. Osteoporos Int. 2012 Feb;23(2):705-14. doi: 10.1007/s00198-011-1594-1.